Peabody Retirement Community is excited to announce a new treatment program for those dealing with dysphagia, which affects up to 15 million Americans. In fact, there are almost one million new cases of dysphagia diagnosed on a yearly basis, and more than one in 10 people over the age of 75 have some form of dysphagia. If the condition is left untreated, serious complications can occur. Dysphagia is the medical term used to describe difficulty or issues with swallowing. 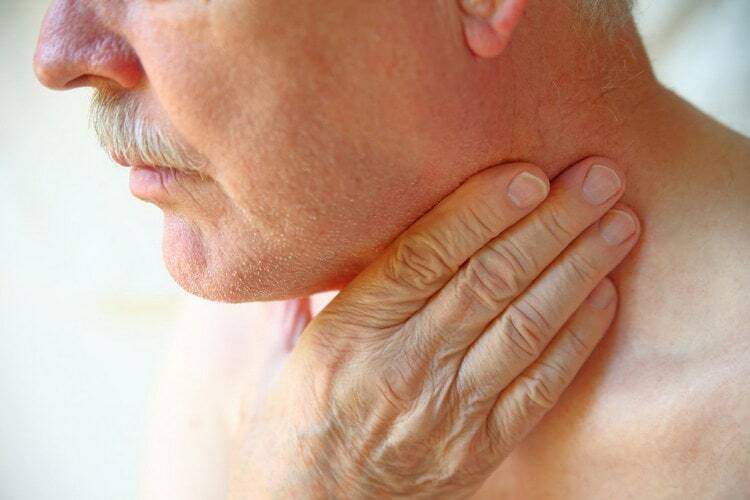 In older adults, dysphagia commonly occurs due to weakening muscles in the throat. While occasional difficulty swallowing usually isn’t cause for concern and can happen when you simply don’t chew your food thoroughly or eat too fast, persistent swallowing problems may indicate there’s something more serious going on. Difficulty swallowing can ultimately lead to malnutrition, dehydration, and even respiratory problems. In the early stages of muscle decline, you may notice you’re having trouble swallowing pills. Then, in more advanced stages, the weakened muscles in the throat may allow liquids and food to escape or aspirate into the windpipe and lungs. In these extreme cases, you may need tubes to help you breathe and receive the proper nourishment. The more severe cases of dysphagia are generally caused by stroke and neurological disorders like Parkinson’s disease. The Agency for Health Care and Policy reports over 60,000 Americans die each year from complications caused by dysphagia, making seeking treatment key to enjoying a higher quality of life and better longevity. If you or a loved one experiences issues when eating or swallowing, such as pain, being unable to swallow normally, coughing, gagging or feeling like there is food stuck in the throat, or avoiding certain foods altogether because of your problems swallowing, seeking dysphagia treatment is highly recommended. Offered within the Rehab Center at Peabody Retirement Community, the Synchrony™ OmnisEMG™ System enables therapists and patients to visualize swallowing activity. It works by utilizing a small, non-invasive sensor placed on the patient’s neck to capture electrical activity of the muscles. Then, the information received provides real-time feedback on swallowing activity for the patient and their therapist. This, in turn, can help determine what treatment plan will aid in strengthening the patient’s swallowing, as well as track the progression of that treatment and the outcome. Swallowing exercises: Swallowing exercises help build strength and improve swallowing ability. Gentle electrical pulses: Neuro-muscular electrical stimulation therapy uses gentle, comfortable electrical pulses delivered through electrodes placed on weak throat muscles to increase strength and agility for normal swallowing. This dysphagia treatment can be utilized on individuals who may be too weak to exercise on their own. Virtual reality guided biofeedback: In the Synchrony program, the biofeedback system uses video-game like visualizations to help make swallowing activities easier and more enjoyable for patients. The Rehab Center at Peabody Retirement Community offers a variety of programs to get more information about our rehabilitation center, please contact us today by calling (260) 982-8616.